GIVEN BENTLEY’S EMBLEM, it’s no surprise that this classic marque was photographed with other winged companions. 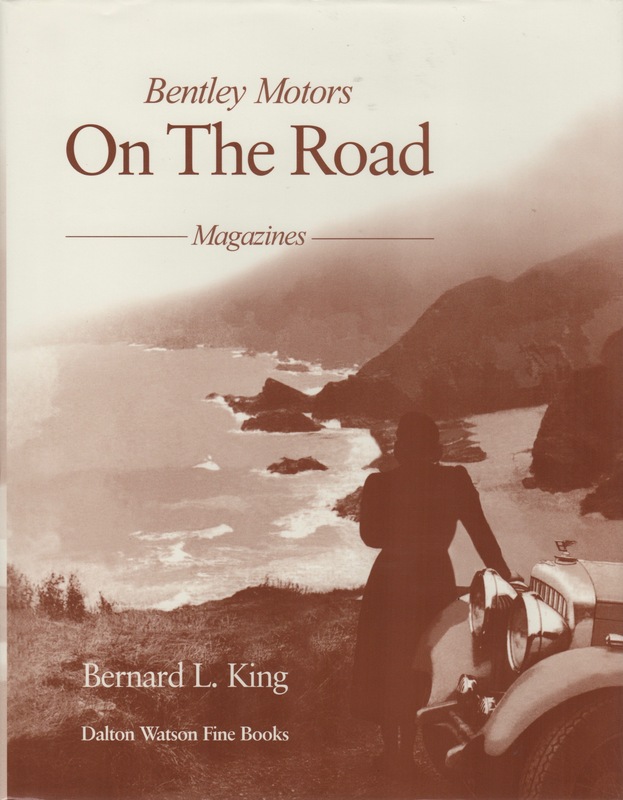 On the Road was Bentley Motors’ magazine in the 1930s, and in 2003 Dalton Watson Fine Books collected and published its 13 issues, together with a second volume of Notes and Indices. 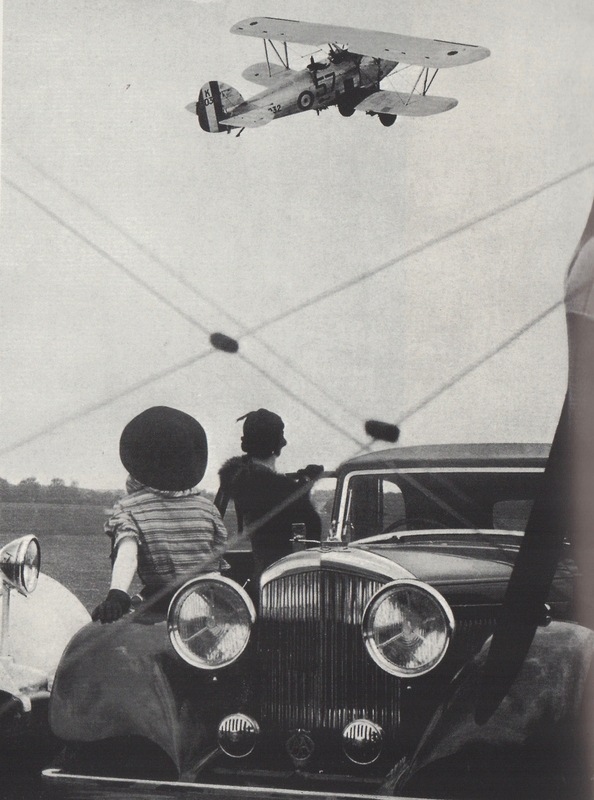 The following images of aircraft, Bentley motor cars, and accompanying tidbits are gleaned from On the Road, together with my own Internet sleuthing. Bentley Motors: On the Road, by Bernard L. King, Dalton Watson Fine Books Ltd., 2003. Walter Owen Bentley. Young W.O. Bentley apprenticed with England’s Great Northern Railway, then studied theoretical engineering at King’s College London. In 1912, he joined his brother H.M. (Horace Millner) selling French DFP automobiles. During World War I, W.O. designed and produced the BR1 and BR2 Bentley Rotary aircraft engines. These engines earned W.O. an MBE. It wasn’t until after the war that the brothers turned their aero engine business into production of automobiles. 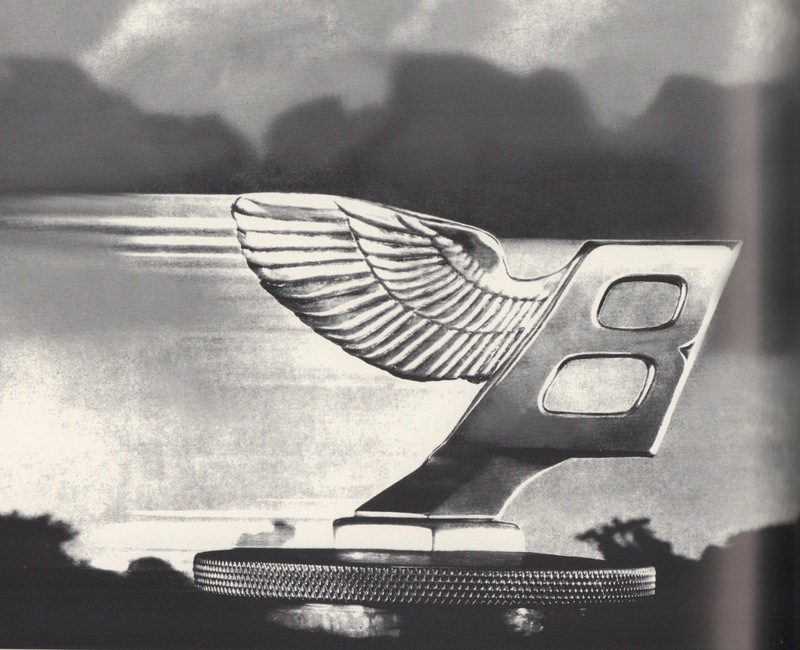 Accordingly, the winged B was a natural emblem. This, the following images and captions from Bentley Motors: On the Road. Spectating at Heston. In 1931 Heston, three miles east of the modern Heathrow Airport, was secondary to Croydon, London’s main airport located 10 miles south of the city. Heston finally succumbed to developers soon after World War II. The aircraft is a Hawker Hart, designed to be a light daytime bomber. It featured Hawker’s innovative metal structure with fabric covering; power came from a 525-hp Rolls-Royce Kestrel 1B six-cylinder engine. Most of the Harts went to the Royal Air Force and Navy; others found service in Egypt, Estonia, South Africa, Southern Rhodesia, Sweden, and Yugoslavia. With “Daedalus” at Croydon. The de Havilland DH-86 Express was designed in response to a request from Australia’s QANTAS airlines. It was the four-engine sibling of one of my favorite aircraft, the twin-engine DH-89 Dragon Rapide. 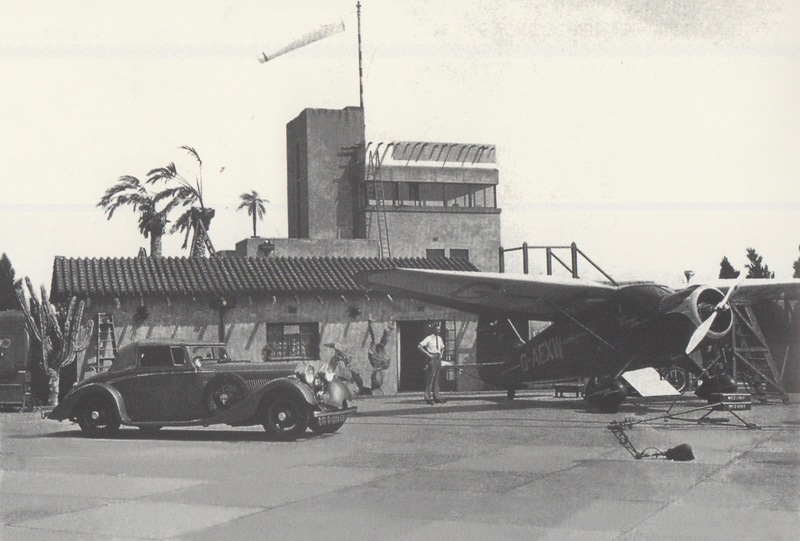 “Daedalus,” G-ADCN, was delivered to Imperial Airways in April 1935. It flew Imperial’s European routes and later served in the Far East. The aircraft was destroyed by an engine fire in Bangkok in 1938. Ready for a Brooklands Film Shoot. By 1910, Brooklands Circuit, 25 miles southwest of central London, had become the birthplace of both Britain’s motor racing and its aviation. The venue also evidently served the needs of movie crews. A film set built at Brooklands Racing Track. The aircraft is a Stinson SR-9D Reliant, an American 4/5-seat monoplane built for sport and executive use. A 320-hp Wright Whirlwind seven-cylinder air-cooled radial powered Reliant G-AEXW, owned by Richard Fairey of Fairey Aviation. This particular aircraft was pressed into military service in WWII as a communications plane for No.1 Camouflage Unit. A Cousin in the S. of France. The French Breguet 521 Bizerte was a derivative of the English Short Calcutta flying boat. Series production began in 1934, with the Bizerte employed in surveillance and maritime patrol operations. At St. Raphael in the South of France. Crew members of a Bizerte included two pilots, a flight engineer, radio operator, navigator, and air gunner. 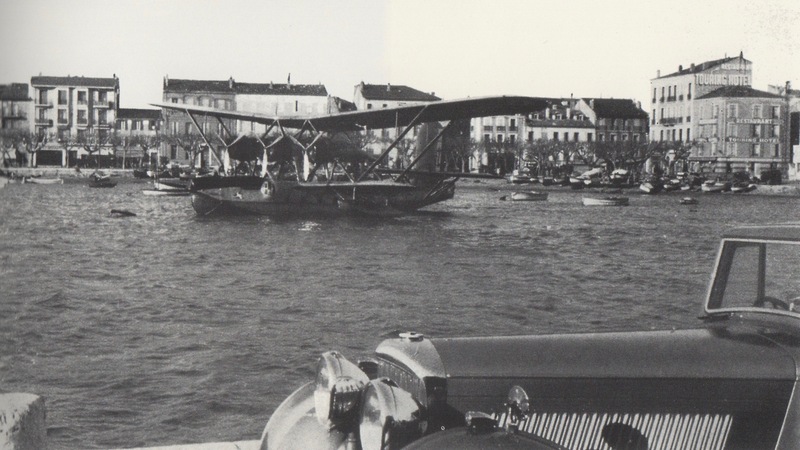 During WWII, two Bizerte squadrons flew for the Vichy Air Force and 17 of the type were commandeered by the Germans. At Churchill’s Advice. In 1933, Winston Churchill warned of Germany’s growing military capability. Hawker responded with the Hind, a 640-hp enhancement of its earlier Hart. 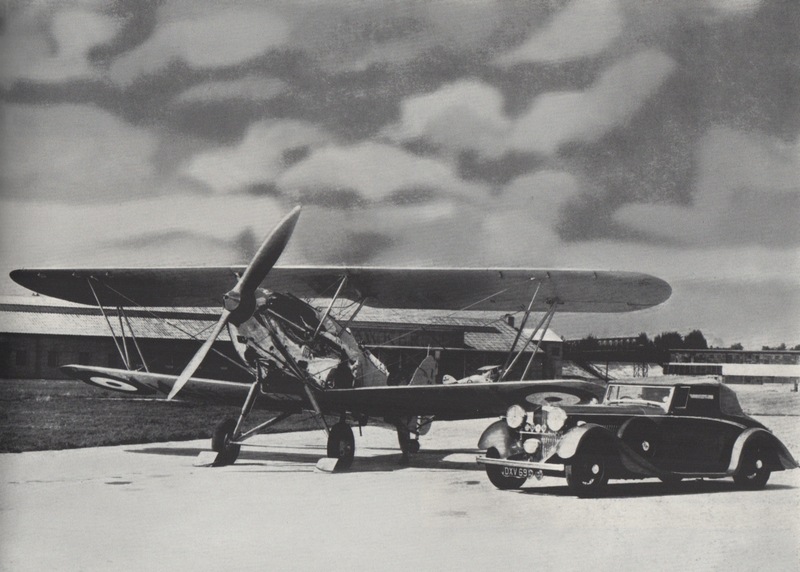 The Rolls-Royce Kestrel V-powered Hind first flew in 1934 at Brooklands, a perfect place to pose with a Bentley (a subsidiary of Rolls-Royce since 1931). A Rolls-Royce engined fighting aircraft at Brooklands. Like its Hart sibling, the Hind was designed as a light bomber, though many were either built or subsequently converted to be dual-control trainers. In addition to R.A.F. service, nine foreign users included Latvia, Persia, South Africa, and New Zealand. The Hind depicted was shipped to Ad Aboukir, near Alexandria, Egypt, in 1938. Shortly afterward, it had a hard landing in Ramleh, Palestine, and was struck off the inventory in 1939. 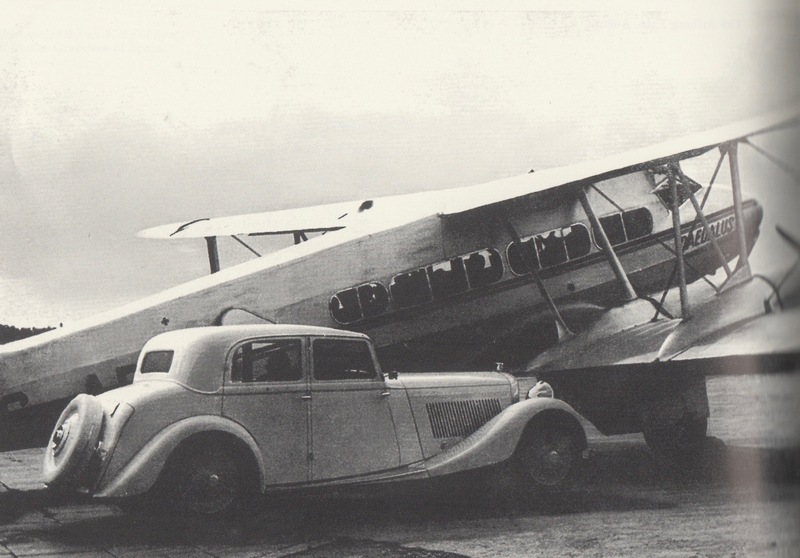 This entry was posted on March 29, 2019 by simanaitissays in Classic Bits, Vintage Aero and tagged "Bentley Motors: On The Road" Bernard L. King, Bentleys photographed with aircraft, Breguet 521 Bizerte flying boat, de Havilland DH-86 Express "Daedalus", Hawker Hart light bomber, Hawker Hind light bomber, Short Calcutta flying boat, Stinson SR-9D Reliant, W.O. Bentley.